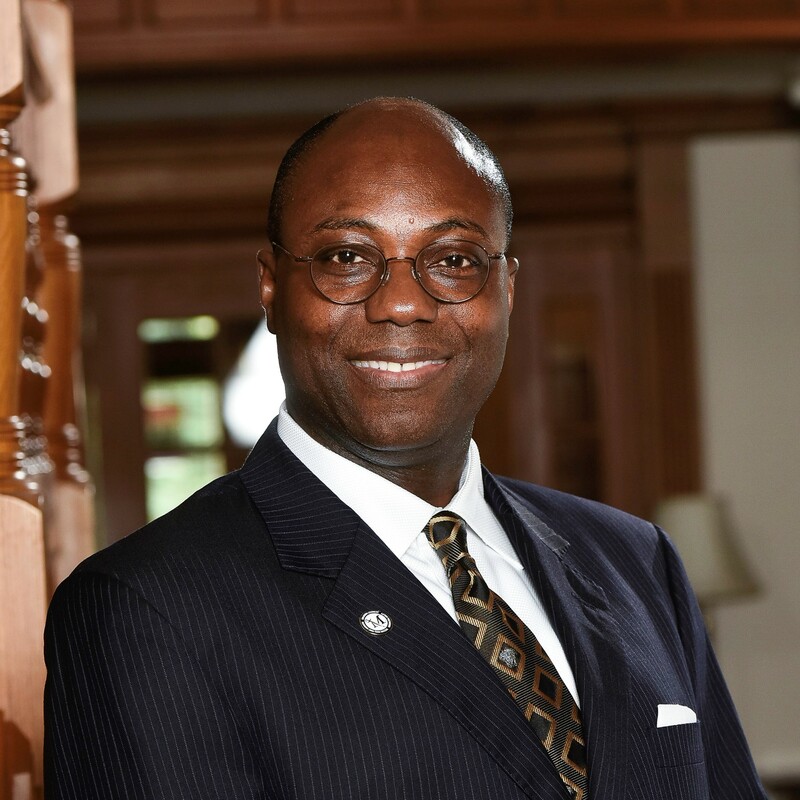 Dr. Daniel A. Wubah became the 15th president of Millersville University on July 1, 2018. Prior to that, he served as Provost and later the Senior Advisor to the President at Washington and Lee University. His previous positions include deputy provost and vice president for undergraduate education at Virginia Tech; associate provost and professor of zoology at University of Florida; associate dean, professor of biology and special assistant to the president at James Madison University and associate professor and department chair at Towson University. He is an elected Fellow of the American Association for the Advancement of Science and testified before the U.S. Congress on how to prepare the science workforce for the 21st century. While at James Madison University, he designed and established the Centennial Scholars Program to provide access to students from under-represented groups in Virginia. He has a passion for excellence in liberal arts education and has published more than 60 peer-reviewed articles, conference proceedings and technical reports. Dr. Wubah is a microbiologist who studied the characterization of obligately anaerobic zoosporic fungi, bench scale bioremediation of toxic polychlorinated biphenyls, and characterization of microflora in the digestive tract of neotropical wood-eating catfish, Panaque. His work has resulted in more than 60 peer-reviewed journal publications, book chapters and technical reports. The National Science Foundation (NSF), National Institutes of Health (NIH), US Department of Agriculture (USDA) and Howard Hughes Medical Institutes (HHMI) have funded his research and training projects. He has supervised or co-supervised research projects and served on theses/dissertation committees for ninety-six undergraduate and graduate students. Wubah has taught several courses including general microbiology, medical microbiology, microbial ecology and geomicrobiology. He has also been involved in efforts to integrate international experiences in undergraduate education and research. He has served as the principal investigator in five successful international NSF-Research Experience for Undergraduate (REU) sites program, including the longest continuously funded REU site in Africa from 2002 to 2016. He was a member of a National Academy of Sciences panel that studied the scientific basis for estimating air emission from animal feeding operations. He has presented a testimony before the US Congress on preparing the scientific workforce of the 21st century. He was an Associate Editor for Mycologia, and a member of the editorial board of Frontiers: the interdisciplinary journal on study abroad. He has an extensive service-related activity including membership on the Advisory Committees for the NSF Directorate of Biology, Office of International Science and Engineering as well as Environmental Research and Education. He chaired the National Institute of Minority Health Disparities Study Session (2005-2014). He was a trustee of the Southern Association of Colleges and Schools Commission on Colleges (SACS-COC) for two three year-terms. He was a member of the Board of Governors of the National Aquarium in Baltimore for ten years. Dr. Wubah earned his B.Sc. with Honors in botany and Dip. Ed. in education from the University of Cape Coast, Ghana. He earned MS in biology from the University of Akron, and Ph.D. in botany from the University of Georgia. In addition, he was a postdoctoral fellow at the EPA research lab in Athens, GA. In private life, Dr. Wubah is a tribal king (Safohene) at Breman Asikuma in the Central Region of Ghana. His royal name is Nana Ofosu Peko III. He and his wife, Judith, have two daughters and two grandchildren.